At 42.4 million, there are now more immigrants, legal and illegal, in America than ever before, fueled by a massive flood from Muslim nations, and the growing numbers are substantially impacting public services like public schools, according to a weighty new analysis of Census Bureau data. One impact of note: There are 10.9 million students from immigrant households in public schools, accounting for 23 percent of all public school students, according to the Center for Immigration Studies. And while the doors remain open on the U.S.-Mexico border, the biggest percentage increases in immigration are all from largely Muslim nations, a fact that has been drawn into the presidential election. The report breaks down the Census immigration reports of the last two years to determine where the legal and illegal immigrants are from, where they live, what they do, how much they make, their education and how births are adding to the population. The latest data collected by the Census Bureau shows that 18.7 million immigrants arrived in the country from 2000 to 2014. Just between 2010 and 2014, 5.6 million immigrant arrived in the United States. The more than one million immigrants settling in the country each year have a very significant effect on many areas of American life. 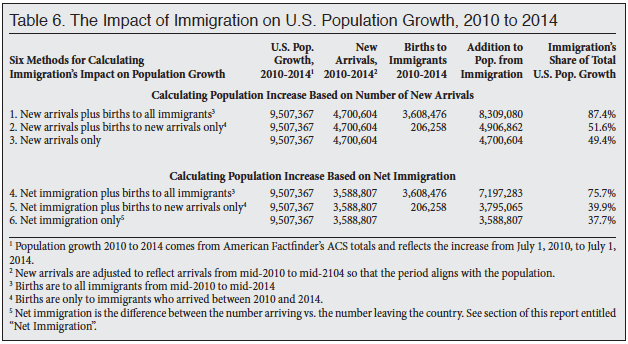 New immigration plus births to immigrants added more than eight million people to the U.S. population between 2010 and 2014, accounting for the overwhelming majority of population growth. Immigrants account for more than one in eight U.S. residents. Children from immigrant households now account for nearly one in four public school students, almost one-third of children in poverty, and one-third without health insurance, creating enormous challenges for the nation’s schools, health care system, and physical infrastructure. The large share of immigrants who arrive as adults with relatively few years of schooling is the primary reason so many live in poverty, use welfare programs, and lack health insurance. — The nation’s 42.4 million immigrants (legal and illegal) in 2014 is the highest number ever in American history. The 13.3 percent of the nation’s population comprised of immigrants in 2014 is the highest percentage in 94 years. — States with the largest percentage increases in the number of immigrants from 2010 to 2014 were North Dakota (up 45 percent), Wyoming (up 42 percent), Montana (up 19 percent), Kentucky (up 15 percent), New Hampshire (up 14 percent), and Minnesota and West Virginia (both up 13 percent). — In 2014, 49 percent of maids, 47 percent of taxi drivers and chauffeurs, 33 percent of butchers and meat processors, and 35 percent of construction laborers were foreign-born. 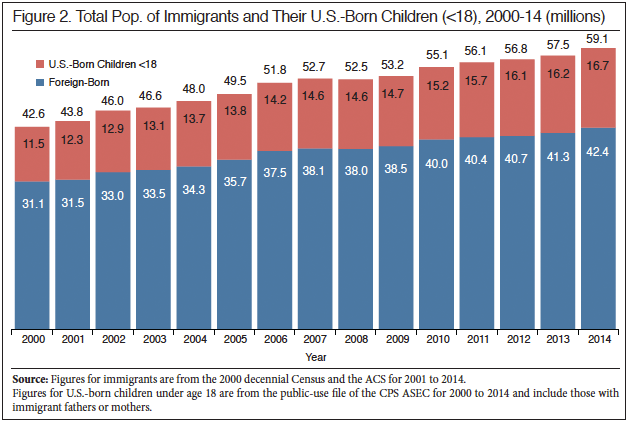 — Almost one in three children (under age 18) in poverty have immigrant fathers. 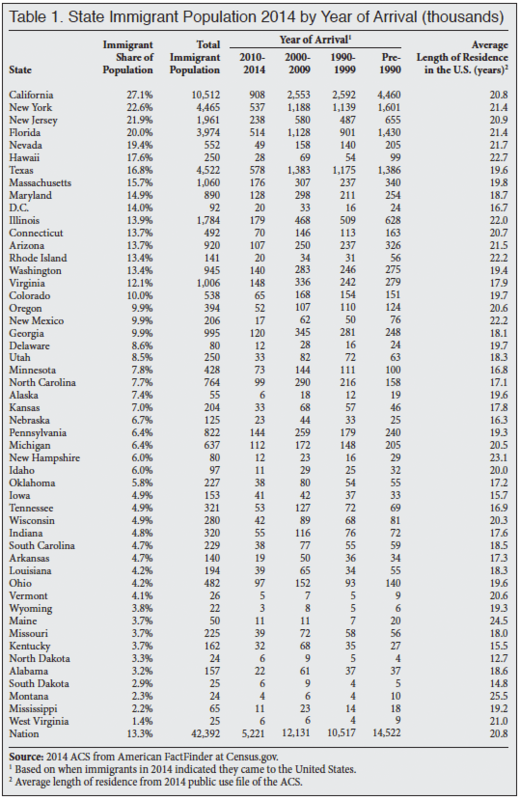 — There are 64 public school students per 100 immigrant households, compared to 38 for native households. Because immigrant households tend to be poorer, immigration often increases school enrollment without a corresponding increase in the local tax base. Whew, what a relief, just when I thought that some incoming ‘refugees’ or ‘migrants’ may come from a dangerous country … ooops, that’s right, nearly all of the 9-11 attackers called Saudi Arabia their homeland. Amazing that stories like this are rarely discussed in major American newspapers. It is important to remember that there are those on both sides of the political aisle who resent and are deeply concerned about this. Personally, I hold some conservative views and some progressive, so perhaps the best term in my particular case is ‘independent’. There are allies out there, and forums like this excellent blog are a ready reminder. The costs to this nation long term, socially, economically and from a national security perspective are deeply troubling.